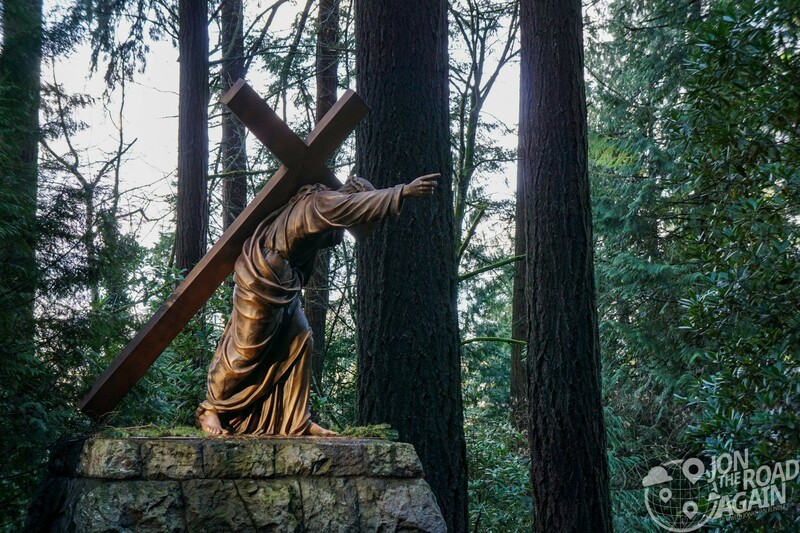 The Grotto (aka the National Sanctuary of our Sorrowful Mother) is an internationally-renowned Catholic shrine and botanical garden. The Grotto was built by Father Ambrose Mayer as a way to repay God for keeping his ailing mother alive. The Grotto cave is approximately 30 feet wide, 30 feet deep and almost 50 feet high. 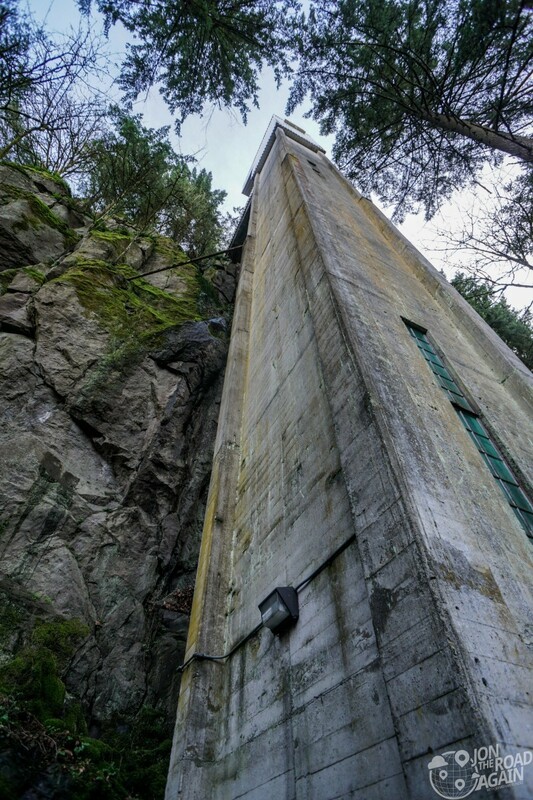 It was carved out of the face of the cliff in 1923. Fr. Mayer placed a marble replica of Michelangelo’s Pietà in the cave in 1946. 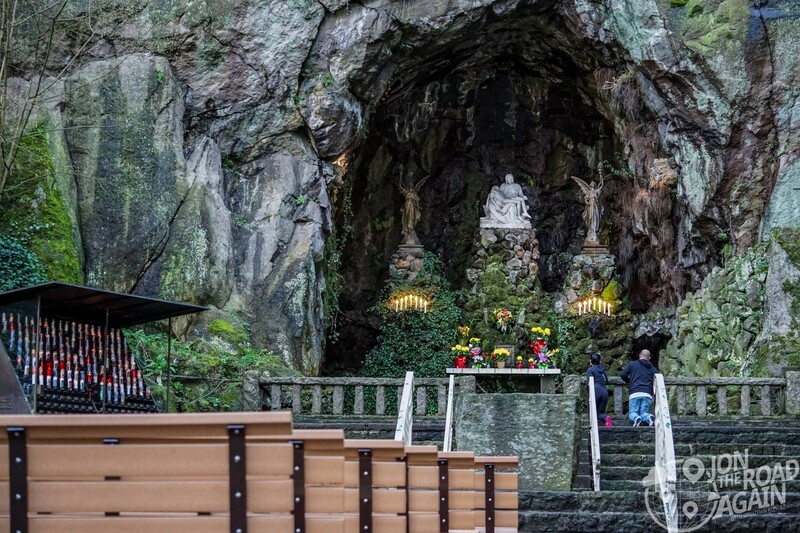 The Grotto cave area is anchored on each side by votive holders which hold 7-day sanctuary candles representative of the prayers from visitors or remembrances of loved ones lost. These candles are available for $7 at the nearby gift shop. On top of the cliff is another statue of Mary, hardly discernible in this photo, but you can visit it once you go to the upper garden. The Our Lady Grotto is home to outdoor events and services, but nearby Chapel of Mary provides an additional 600 seats for indoor events. Enough about these lower gardens – let’s head up to the Meditation Chapel and upper gardens via this elevator. 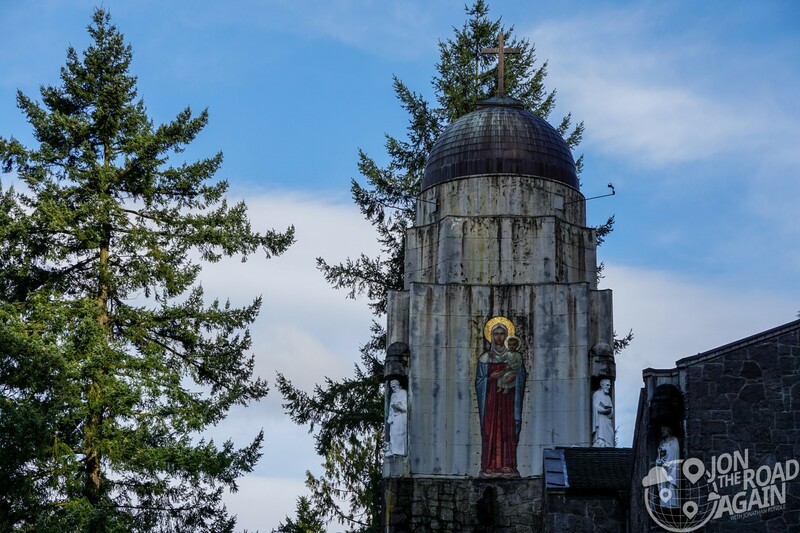 The main attraction of the upper garden is the Meditation Chapel, built in 1991. 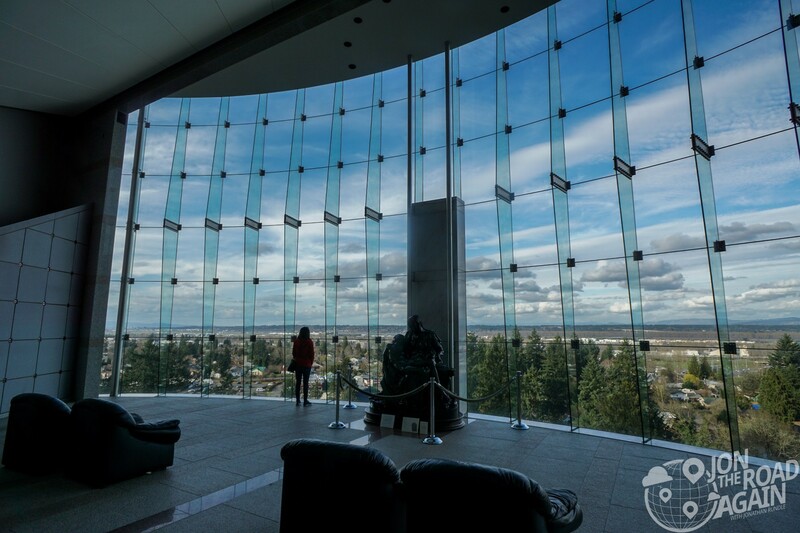 The gleaming glass wall provides Panoramic views northward by day and the neon cross on the outside illuminates at night for the enjoyment of northeast Portland and drivers on I-205. A bronze Pietà is in the center of the room along with four leather chairs. After leaving the Meditation Chapel, the path next takes you to the monastery, built in 1936, which houses up to 12 friars of The Order of Servants of Mary (The Servites). 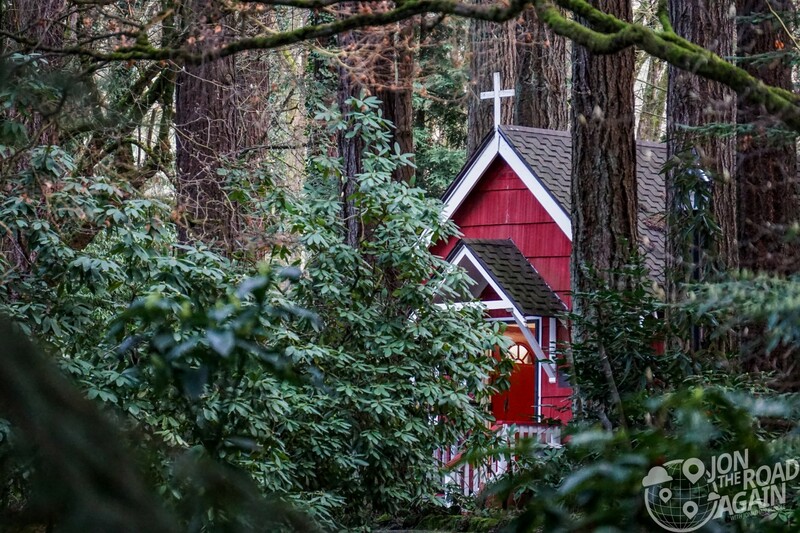 Nearby, the bright red chapel of St. Anne honors the mother of Mary. 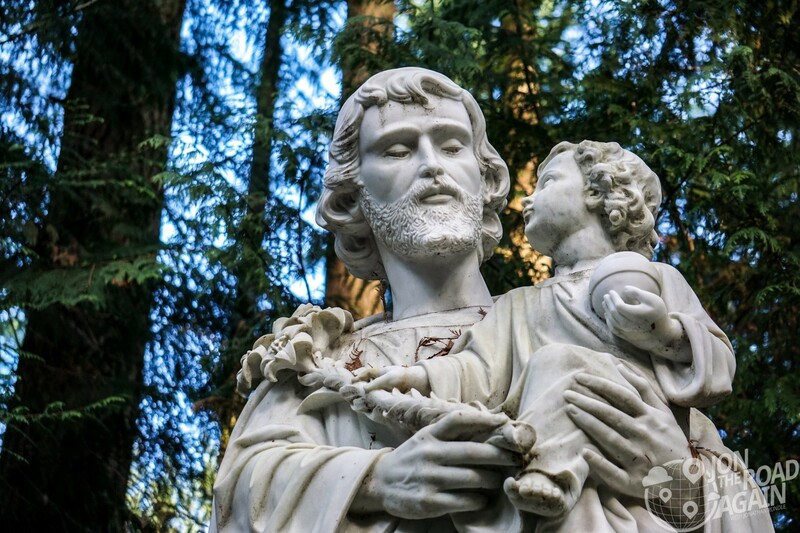 Throughout the gardens, statues depict the life of Jesus and those around him, like this statue of Joseph and an infant Jesus. Although this particular statue makes it look like Joseph is ready to demand a paternity test. 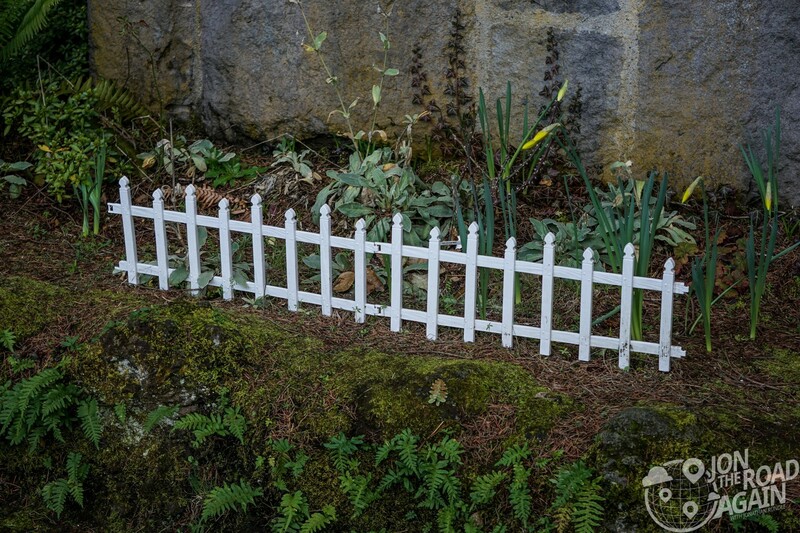 By far the most catholic thing I saw in the garden was this little plastic fence. A1 Catholic grandmother material right there. 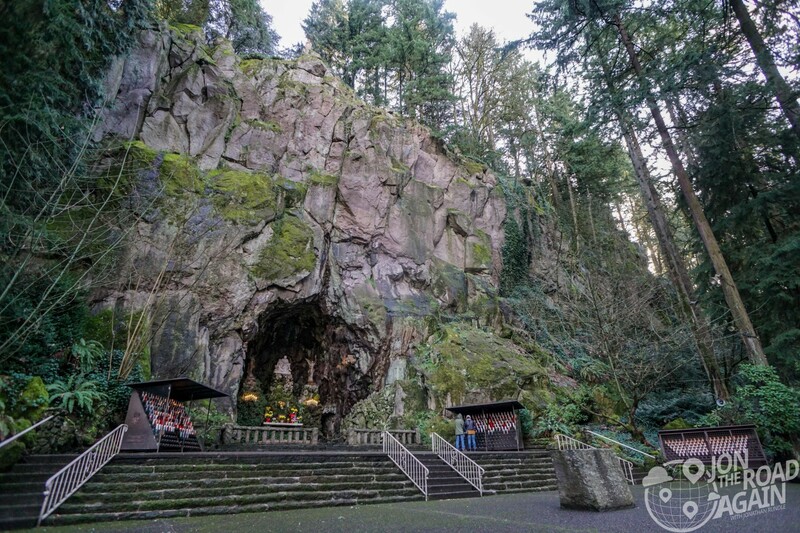 The Grotto is located in northeast Portland, and attracts more than 200,000 visitors annually. 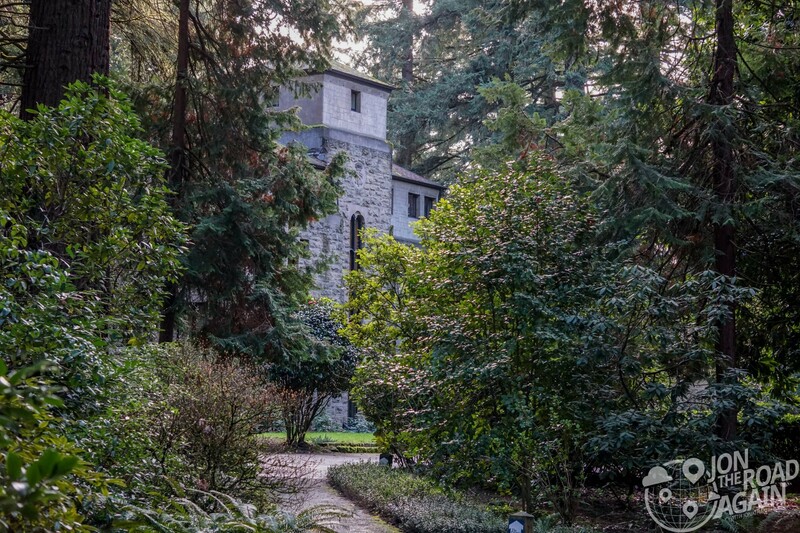 Admission to the lower garden, the Chapel of Mary, and Our Lady Grotto is free. 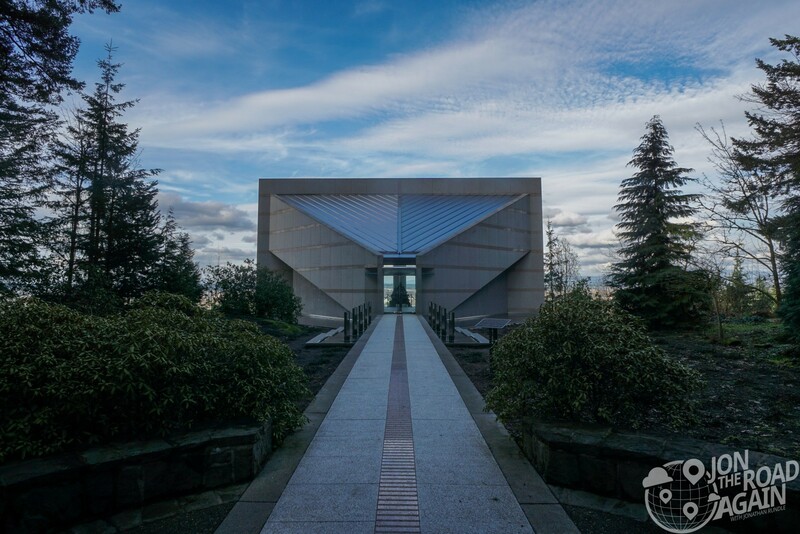 Admission to the upper gardens and the Meditation Chapel cost $5 per adult.